Childrens rocking chairs can be a huge hit with your kids or grandchildren. I know because our grandsons got kid-sized recliners from Santa and they love them and have used them for many years. 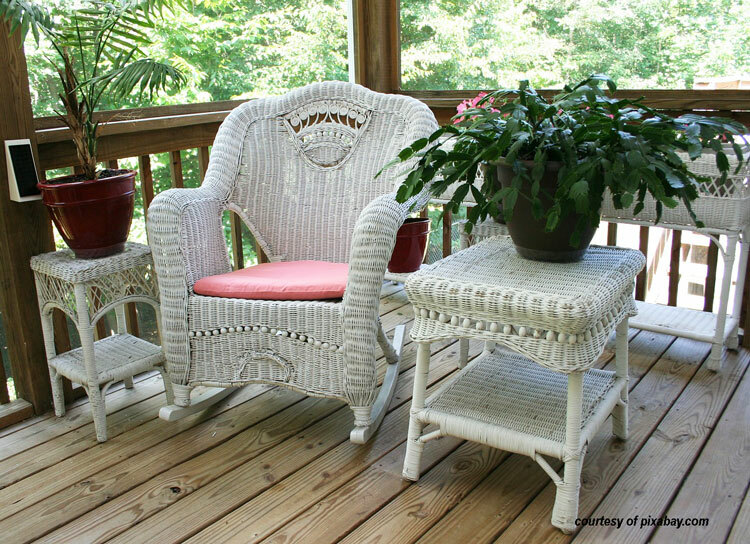 And imagine how nice it would be to have their own rocker on the porch. Think of the long-lasting memories they will make. I made a small children's trestle table and chairs years ago for our two sons and now our grandchildren play with it. 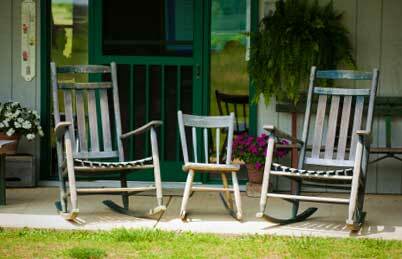 Imagine you and your child on the porch, together in rocking chairs, big and small. Rocking chairs for kids come in all sizes, colors, and styles. You can even find novelty pieces like the sports-related chairs or frilly ones for little girls like you see below. You can even find kids' personalized rocking chairs for your child's name. We found these children's rockers on Amazon and thought you'd enjoy seeing them too. Great gift idea; this chair is made from durable ash and will be enjoyed for hours by your child or grandchild. Bouquet adorned child's rocking chair with non-toxic paint; will look fabulous indoors or out. Green is fantastic and who wouldn't love a gentle giraffe! Unique wire child's rocking chair; comes in green too - available at Amazon. Make this rocking chair really special by adding your child or grandchild's name. See lots more options at Amazon.com (affiliate link for which we may receive a commission); you'll be pleasantly surprised with the variety of rocking chairs available. Spend some time with your children or grandchildren on your front porch and make some nice memories. We think a kid-size rocking chair is a pretty neat idea. Kids do too. See these custom made rocking chairs - unbelievable beauty!